It happens to all teachers who like to incorporate the holidays into arts and crafts projects or writing assignments. How do you handle the student that doesn’t celebrate a particular holiday? Many teachers avoid it all together and focus on the seasons, non-religious holidays and celebrations. No student feels left out and it reduces any controversy. A month by month guide of non-holiday ideas! Use ice-breakers and getting to know you activities while getting ready for Back-To-School night and making decorations in the hallway. It’s a prime time of the year to use real leaves for art projects and science activities. Organize a special day for the grandparents! Many are large parts of our students lives with two parents working and who doesn’t want to feel special? Learning about the seasons throughout the year are great natural bridges from one part of the year to the next. There is so much science in October! Popping popcorn is an amazing science experiment to demonstrate how extreme heat can raise the temperature of a gas and cause popcorn to “pop”! Diagramming and dissecting a kernel of popcorn is educational, but also fun! Simple experiments can be adapted to have a ghoulish, Halloween theme to them. Add food color to slimes and change the terminology and you have Halloween science! Spangler Science has an amazing variety of science experiments that will engage students of all ages. Don’t forget about social studies and history, practice and learn map skills with Christopher Columbus! Vote, vote vote! Learn about how elections work, vote on choices in the classroom, make ballot boxes, analyze the results, the math opportunities abound! Celebrate our Veterans! Call the local VFW and invite a real Veteran to our class as a guest speaker. Have students interview a Veteran, share with the class what they have learned! Who can avoid the turkey in November? Arts and crafts activities are everywhere, make a turkey, make a hat, sing about Thanksgiving. The possibilities are endless! One of the most challenging months to avoid a religious holiday, but it CAN be done! Focus on the weather, learn about snow, make snow, study snowflakes! Investigate an ice cube, observe it change state from a solid to a liquid! Continue your seasonal study and move from fall to winter. Discuss how seasons are different around the world. Where in the world does it snow and where doesn’t it? Learn why that is! Learn about a football player. Research and use the internet for positive. Where did the player grow up, what kinds of hobbies did he have? Transition to math lessons about a football game. How long is a yard? Can we calculate the average yards gained by a running back in the game? There are so many math possibilities! Celebrate the life of Dr. Martin Luther King! Listen and watch the “I Have A Dream” speech on your screen, make observations and predictions about how many people were there. Learn about other influential African Americans. Count to 100 in so many different ways. Practice place value, hold your breath for 100 seconds, figure out what you can buy with $100, practice money skills and so much more! Research Puxatawny Phil, watch him live and make a prediction; will he see his shadow? Where did he get his name? Kids love comic books and superhero movies; what is Phil’s origin story? Is it real or a legend? 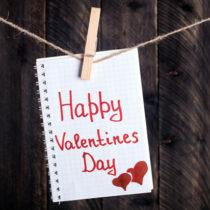 Make sure no one is left out, make Valentine’s a celebration for everyone in the class. Have students pick a name from a hat and make a card for that student. Learn about your heart on February 14th! Here comes President’s Day! Assign each student a different President and research about each. Present your favorite fact to the class! Who is Ted Geisel? He’s Dr. Seuss of course! Try to write an original story just like Dr. Seuss. Rhyming patterns and poetry are easy topics to jump off from here. Read Dr. Seuss to your class, no matter the age! Who wants a piece of pie? Or is it PI? Sample different types of pie, but also calculate PI. Top of the morning to you! Learn about St. Patrick’s Day and other sayings! Get up and move! Practice basketball skills and learn the rules of the game. Why are there four quarters in a basketball game? How does this compare to other sports? Celebrate the secretary in your school. Have each student make a card and deliver them together as a class! Spring is coming, plant some seeds, watch them grown, make a journal! Earth day is a great day to read the Lorax by Dr. Seuss and learn about pollution and conservation. Research other plants and animals that have become extinct and discuss what every person can do to help the environment. Arrange a clean up day at your school or plant trees for Arbor Day! A celebration of other cultures! Learn about the Spanish language and speak it along with other languages. Learn how to say hello in several languages! Don’t forget that sign language is also a language! Learn about Cinco de Mayo and how other countries have celebrations that the United States does not. Play bingo in Spanish! Maybe those seeds that you planted in April will be ready to take home for Mother’s Day. Learn about the origin of the poppy flower and paint a picture of poppies! With the nice weather here, get outside and have a “Summer Olympics” day and compete in different events. Flag day arrives; make flags but also learn about other American symbols. What is the history behind some of our famous symbols? Make a new poster about yourself and compare it to the one you made in September. How have you changed? Measure yourself; are you taller, did your feet grown, is your hair different? You did it! Congratulations, you made it through the year without any religious holidays! Remember what may be fun for one person, may not be for the next. Finally, if you do not want to eliminate holidays from your classroom, embrace them all! Invite information from different families and let the whole class experience other cultures. Try different foods, have a guest speaker, read about the holiday. Be respectful and love everyone! Is your school year schedule different? What other holidays do you celebrate?